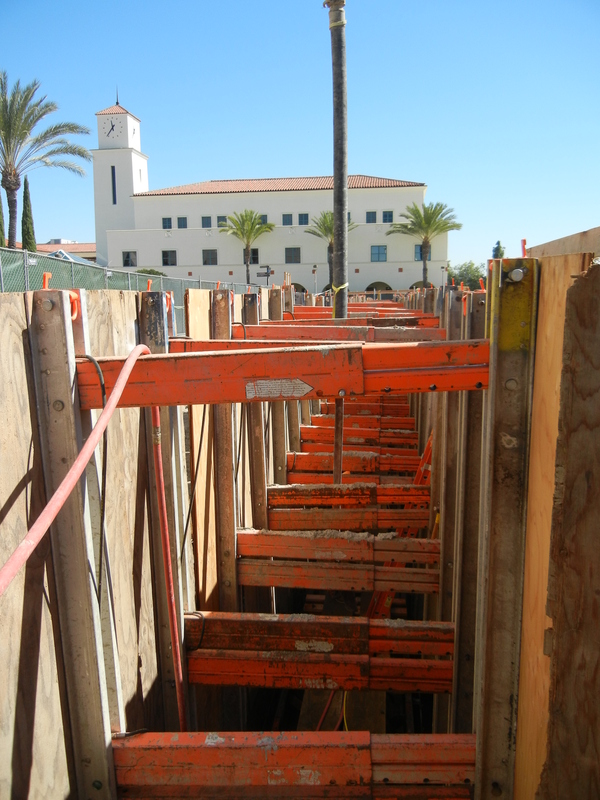 Sundt Construction this week is pouring concrete for the northwest section of the steam tunnel. I caught up with inspector Bill Walden, who told me how the pouring works. In order to form the foundation and walls of the steam tunnel, the concrete must be poured using a boom pump (similar to a boom camera for television). Pouring directly from the chute of the concrete truck doesn’t work because the chute isn’t long enough, nor limber enough, to reach the bottom of the ditch. Thus, the concrete is funneled from the truck, into the pump truck and through the hose so it can be carefully poured in the right place. As the concrete is being poured, a worker has a machine that vibrates the concrete. The vibrations basically help the concrete settle. If you’ve ever wondered, each truckload carries roughly 10 cubic yards of concrete mixed with about 400 gallons of water. If needed, workers can add more water, but only up to an average of 35 gallons, to make the concrete more workable. Once the steam tunnel foundation was poured, workers then dumped slurry on top of it. Slurry is a weakened concrete, meaning it’s just a mixture of sand and cement without rocks. 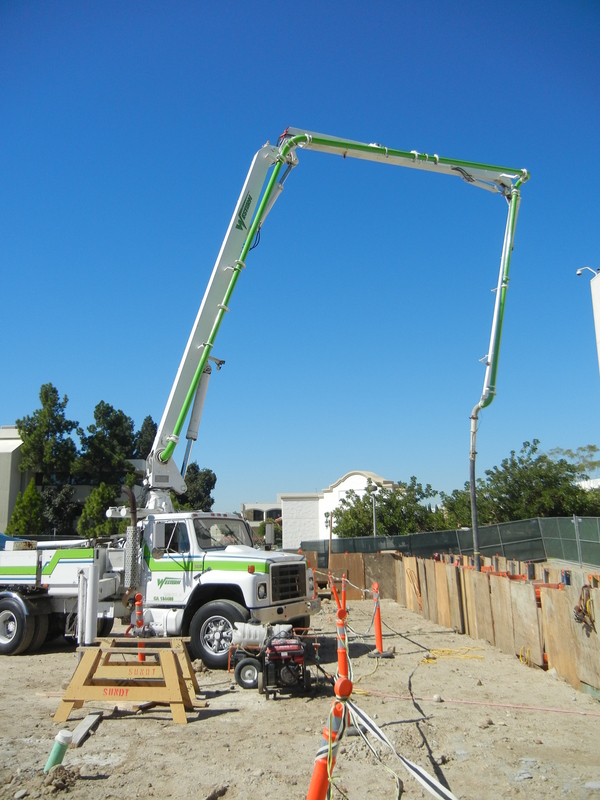 Slurry takes the place of backfill dirt and is primarily used to protect the rebar from rain. You’d rather have rebar sitting in slurry, not mud.